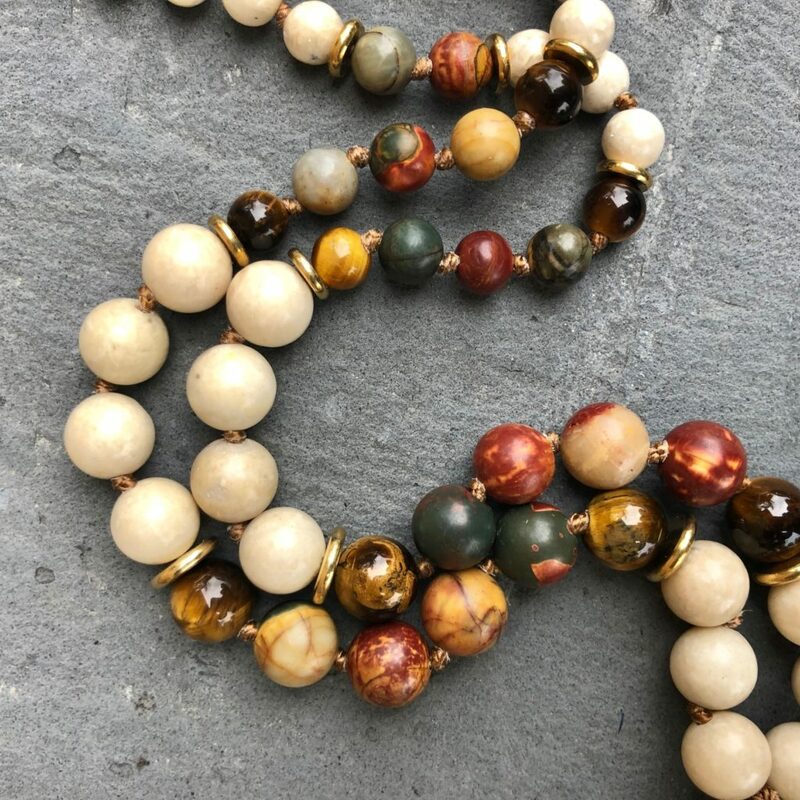 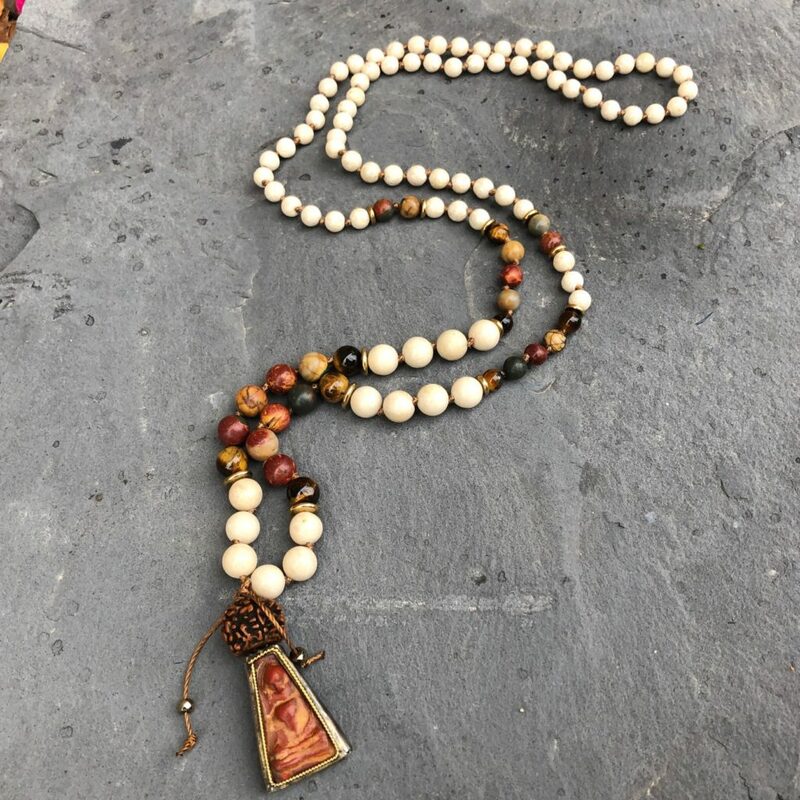 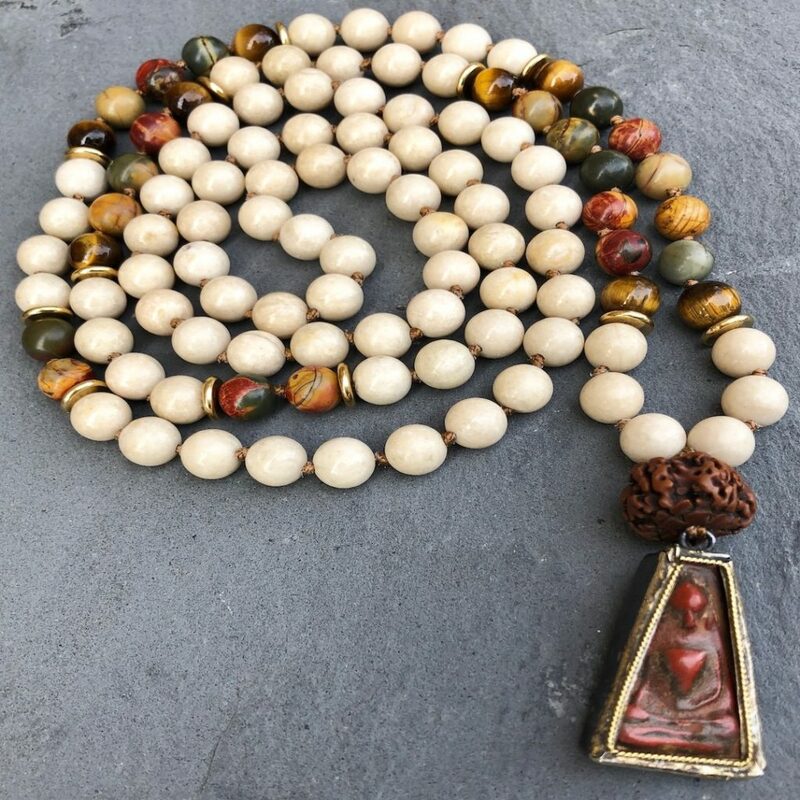 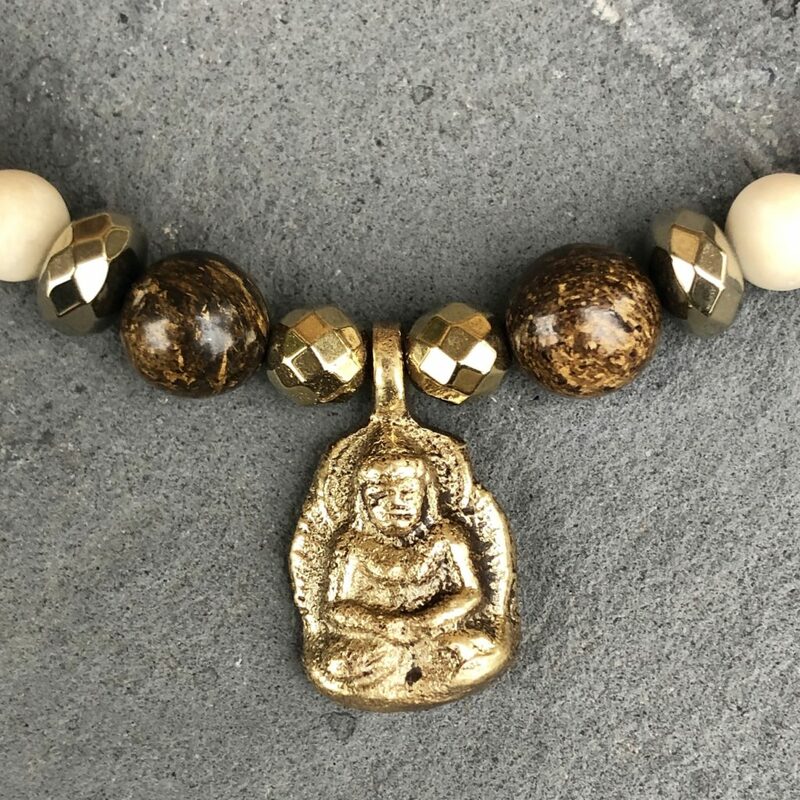 Tibetan Buddha pendant on a 108 bead mala; 6mm & 8mm Natural Riverstone Jasper, Apple Jasper and Tigers’ Eye beads with brass spacers and Rudraksha guru bead. 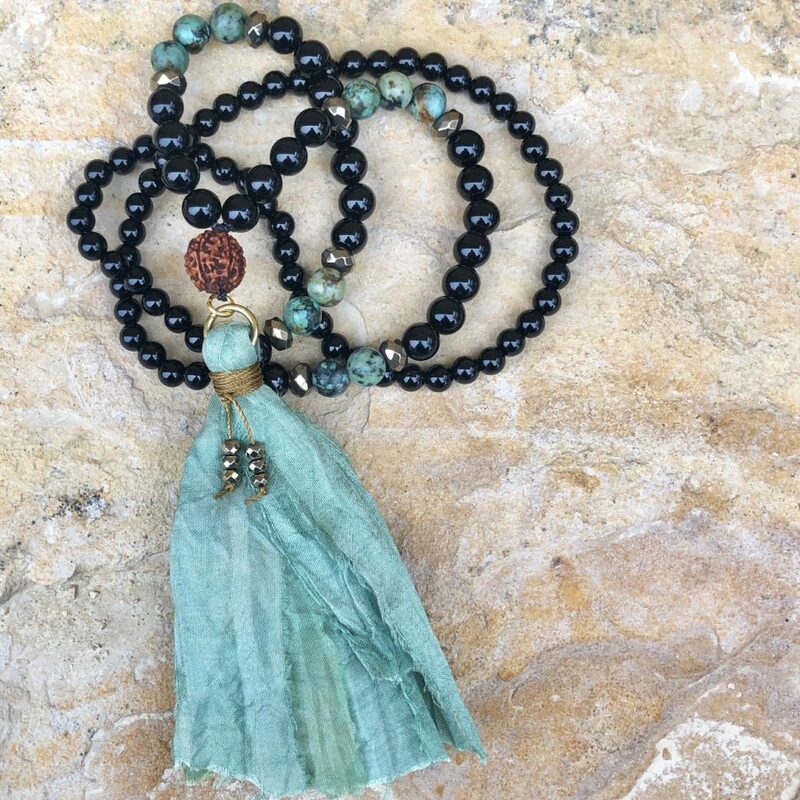 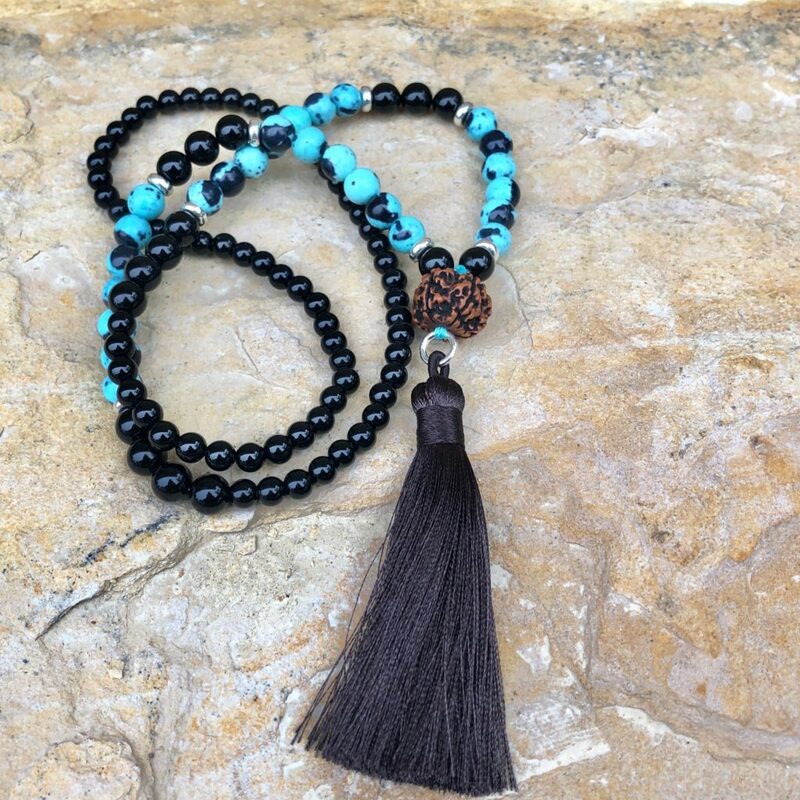 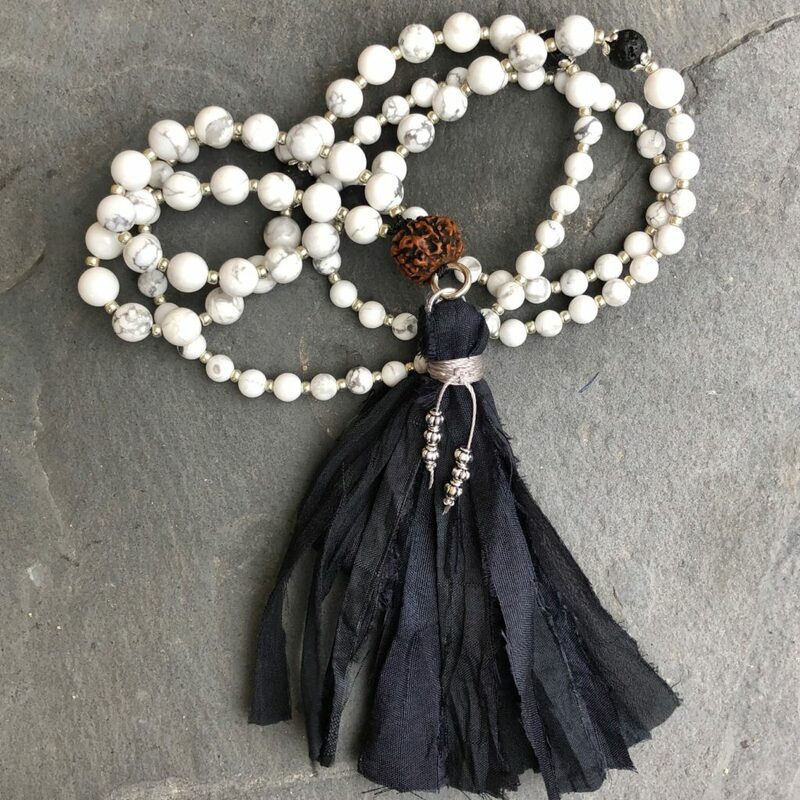 This mala is hand knotted with strong nylon cord and hangs approximately 18 inches in length. 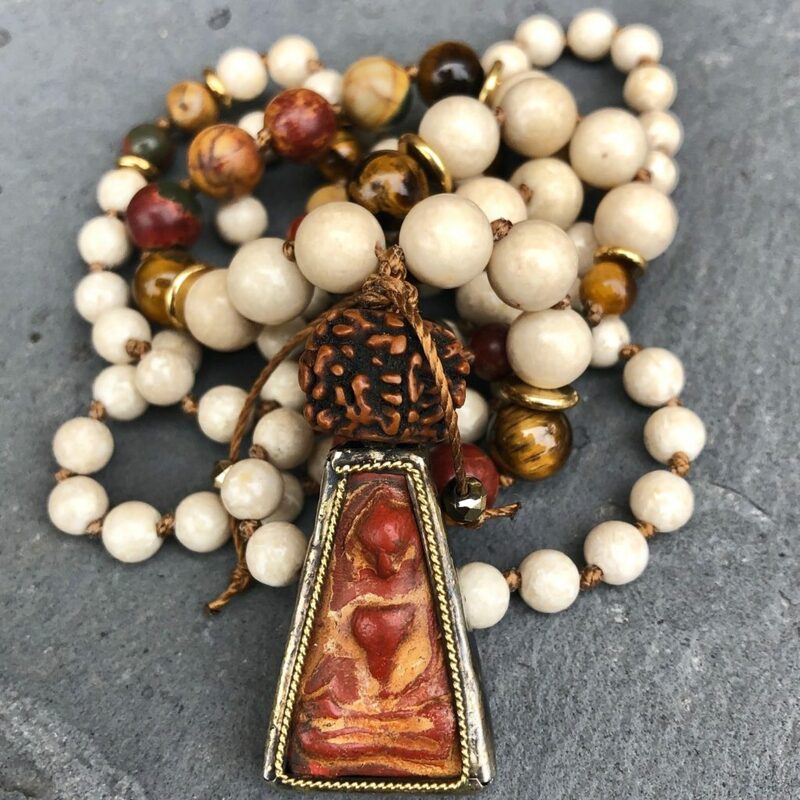 Rudraksha Seed: Increases tranquility, clarity, awareness & concentration; absorbs & stores positive energy; assists in balancing the body’s electro-magnetic field; offers protection from negative energies; said to be a shield against emissions from modern technology and psychic disturbances.